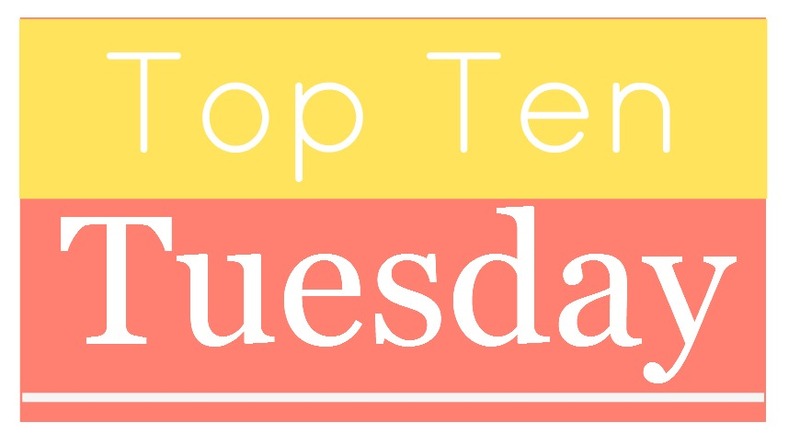 I have decided to participate in Top Ten Tuesday. I just couldn't help myself. I love making lists, and this is a fun way of doing it! 1. Laurie Halse Anderson: I've only read her novel Speak, but I MUST read everything else! 2. Ryan Graudin: All That Glows is SO amazing, and I need the author's next book NOW! 3. C. J. Redwine: I really enjoyed Defiance and I must know how the trilogy ends. 4. Jen McConnel: Along with her amazing YA novel, Jen also has a set of eBook-only NA novels that look FANTASTIC! 5. Laini Taylor: I really loved Daughter of Smoke and Bone, and couldn't really get into the second one, but I am determined to try again! 6. Holly Black: I've read Tithe, and after the wonderfulness that was that book, the others better keep coming! 7. Kelly Hashway: I got Touch of Death on New Year's Eve at 8 o'clock at night, which was pretty fun. I really enjoyed it, but haven't managed to pick up the other two yet. 8. Chloe Jacobs: Greta and the Goblin King was FANTABULOUS! I need Greta and the Glass Kingdom right this very instant! 9. Rosamund Hodge: Cruel Beauty was one of the first few ARCs I got, and I absolutely adored it. I can't wait to read anything else she publishes! 10. Sara Raasch: I got an ARC of Snow Like Ashes this summer and dear god that was amazing! What are some authors you want to read more of? I'm glad that you love the background!